The University chancellor Carol L. Folt called the actions of students and protesters “unlawful and dangerous”. State laws in North Carolina make it unlawful to remove a monument memorial or work of art owned by the state without the consent of a state historical commission. 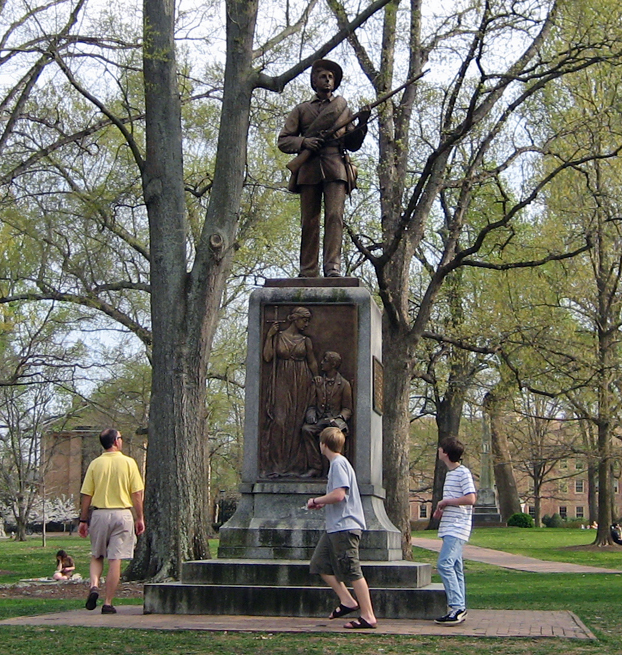 The statue was proposed by the Daughters of the Confederacy and approved by the University of North Carolina in 1908 and erected five years later. Confederate statues are seen by protesters and civil rights activists as a sign of white supremacy and intimidation of blacks after the confederacy lost the American civil war.